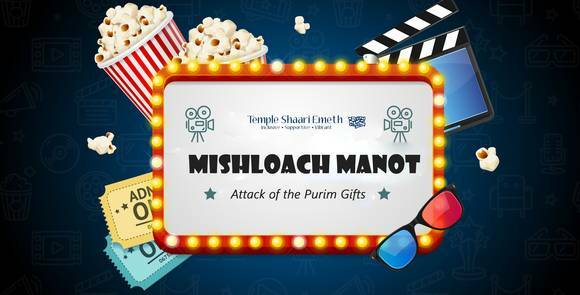 Celebrate Purim by sending MISHLOACH MANOT GIFT BASKETS to your Shaari Emeth friends and family. Each gift basket contains NUT-FREE goodies, beautifully wrapped and hand delivered to the homes of those you choose. Proceeds from each basket will provide scholarships for our students to attend Jewish camps and educational programs. You can choose to send to as many names as you wish; The cost is $15 for each basket. In addition, you can select the reciprocity option. Reciprocity allows you to automatically send a basket to whoever sends you one; and then you are automatically charged for each of these baskets. Orders marked with reciprocity alone will not be processed; you must make at least one selection from the list. And, you can send to groups of people, including clergy and staff, teachers, and more. finalize your selections by April 8th.